Schedule your childrens birthday parties with us! Welcome to LazerLand of Long Island specializing in bringing the experience of a lifetime to childrens birthday parties. Whether you’re from Commack, NY; Smithtown, NY; Hauppauge, NY or anywhere on Long Island our goal is to create kids birthday parties that will never be forgotten. From laser tag to dodge ball, to games & prize redemption and a state of the art arcade we have it all. If you want your child’s birthday party to be set apart from the rest, make it a LAZERLAND of Long Island Birthday party. It will be an event they will never forget! Kids birthday parties with plenty of amenities! Kids birthday parties can include: added food touches like Carvel Cakes, extras pizza and extra soda, as well as a full catering menu. Let us take care of the favors. You can choose from inflatable swords, sports bottles with or without candy, goodie bags or T-shirts. 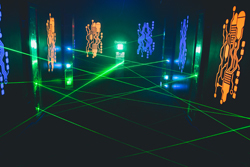 You can also include “Lazer Frenzy” - an arcade style laser maze attraction, or add-on sports such as dodgeball, kickball, soccer, or any other field event. We even offer Nerf Sports in our exclusive Nerf Stadium. Make it a Glow Party with black light makeup, glow sticks and flashing accessories. The choices are yours and our friendly, professional staff is always on hand to help. We can help you choose best combo package for your child's birthday party, and we will make sure your party is a huge success! Give us a call at 631-542-2215 or stop by at 54A Vanderbilt Motor Parkway, Commack, NY conveniently located off 495 (LIE) Exit 53. LAZERLAND of Long Island has Open Play Sessions every Friday and Saturday night that include unlimited laser tag and dodge ball for $25pp. 7:30-11:30pm. LAZERLAND is Long Island’s party place for corporate and private events. In addition to our childrens birthday parties we offer corporate events, fundraisers, open play, and more. Start your LAZERLAND adventure today! Childrens birthday parties with us are unique and a blast! If you would like to have a private party or event at LAZERLAND, we have packages available to choose from that are sure to please your guests. LAZERLAND is a great event venue for Bar/Bat Mitzvah’s, kids birthday parties, sweet 16 birthday parties, graduation parties, family reunions, and youth programs that include day camps, youth groups, sports team events, and more for Commack, NY; Smithtown, NY; Hauppauge, NY or anywhere on Long Island. Offer your friends and family the experience of a lifetime that they will never forget and talk about for years to come. "It's not often that I feel so compelled to give a business kudos these days, but I really must give an enormous shout out to Lazerland of LI!! I have made numerous parties since becoming a mom, and the people at Lazerland (Commack) were fantastic from the first phone call to the end! They even went out of their way to do something extra nice for me that they really didn't need to do. I plan on giving them lots and lots of business in the future and my hope is that if any of your children want a laser tag party in the future that you look no further than this place. I get nothing from it except the happiness that I found a place in this day and age that has superior customer service!!!" Thanks Beth! We enjoyed hosting your party and look forward to seeing you soon! If corporate team building is your goal you can choose from one of our many party packages and let the fun begin. Play as a team and bring the company together in a way they never would have imagined. Imagine battling side by side; managers and staff working together toward a final goal outside the doldrums of the everyday office routine. If a fundraiser is what you’re looking for, our experienced staff will take care of all the details. Your guests will have a blast (no pun intended) as well as raise money for a good cause. 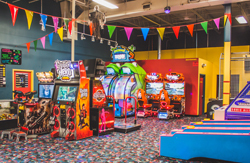 A little bit about us….our goal at LAZERLAND of Long Island is to provide everyone who visits a positive and exhilarating experience, one that is fun for the whole family or the entire company. Even if you just want to stop by on your own and have some fun our professional staff will be here to serve you and be sure you have a great time. So for laser tag, kids birthday parties, activities for kids, childrens birthday parties, rainy day activities, teen activities, dodge ball, kickball, corporate activities, open laser sessions and more, remember to call LAZERLAND of Long Island at 631-542-2215. Serving Commack, NY; Smithtown, NY; Hauppauge, NY as well as all of Long Island. Come visit and see for yourself what LAZERLAND of Long Island has to offer. You will be happy that you did!! We are looking forward to meeting you, your family and your friends, as well as your corporate business associates. We’ll see you soon! Tag LAZERLAND of Long Island in your birthday party pics on Facebook and receive a free session for your child on their next visit! Give your child a birthday to remember with LazerLand of Long Island. We specialize in organizing childrens birthday parties. We have everything to make your child's special day the best! We have a large number of games and activities that your child and their friends will love. We are the best activity and party center in the Smithtown, NY area. If you are looking for a company that can help you arrange childrens birthday parties, call us today. Bring your little one on an epic adventure this year in Smithtown, NY and celebrate your birthday on the battlefield! Skip the piñata and balloons and take your party to the next level with a private event that no one will forget. There are more reasons than one why a tactical laser tag birthday is the ideal choice for children's birthday parties. Where else can you throw children's birthday parties that teaches guests to work together as a team while having a blast? 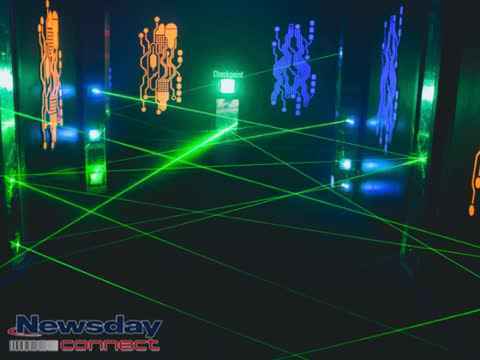 Long Island's most popular indoor laser tag facility, arcade, and party room. Perfect for childrens birthday parties, we offer the most advanced, hi-tech laser tag equipment around. With 10 different game scenarios and a multi level arena, we are sure to make everyone in your group have an amazing experience! 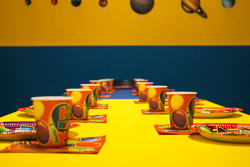 Choose LazerLand of Long Island for your childrens birthday parties!